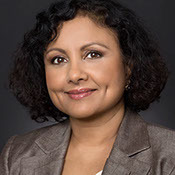 Saila Kariat has a diverse background, having obtained a Ph.D. in electrical engineering and worked as an engineer for ten years. She was a research staff member at a prestigious IBM T.J. Watson research center, worked as a development manager at IBM overseeing twenty eight engineers, and as a director of marketing at a high-end start-up. She subsequently started a residential construction business, which afforded her the flexibility to raise two daughters. She successfully ran that business for eight years. During this time, she pursued her lifelong passion for film, and obtained a Bachelor’s in Film from San Jose State, where she was valedictorian for her graduating class. 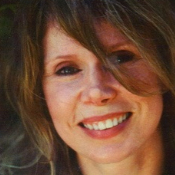 She has directed several short films and has written shorts and feature length screenplays. Her screenplay “Minor Gods” was selected as a finalist for Best Feature Screenplay at the California State University Media Arts Festival. She is slated to direct her next feature, “War Child”. The Valley is her directorial debut. Yumee Jang has served in a producer capacity both in the world of commercial entertainment and independent cinema. Since 2002, her passion for film has led her to produce a variety of short-form multimedia projects, including commercials, narrative shorts and features, documentaries, music videos and industrial spots across a variety of delivery platforms. She started her career as a Production Manager for Audi in their Digital Marketing and Commercial department, and after a few years as a PM, free-lanced as a financial consultant to corporations as a producer/line producer, managing budgets and schedules for companies producing made for TV commercials. She left her commercial career to work as a Producer and Assistant Director for several feature films, which have won numerous awards at Sundance and Tribeca. 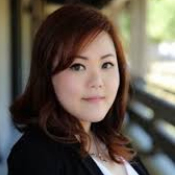 Her first producing role on a feature film entitled ‘Oscar’ won the San Antonio Film Festival, putting her on the map as a panel speaker in San Francisco Asian American Women in Film. Lauren grew up in New York and North Carolina. There, she studied film along with earning degrees in International Business and Spanish from the University of North Carolina Wilmington. Upon completion of her career, she already worked on the hit show ONE Tree Hill, moved to Los Angeles, and worked both at The Ellen DeGeneres Show and with Sarah Finn Co. on movies such as Captain America and Iron Man 2. She went on to team up with top casting directors on big budget studio features as well as indie films. She has worked with Disney, Sony, Screen Gems, Marvel, Depth of Field, Universal, etc. She is now a casting director and producer of feature films and television shows. 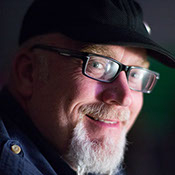 Paul has over 20 years’ experience as a cinematographer and filmmaker, and a lifetime passion for photography. 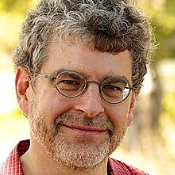 His exploration of image and storytelling was anchored by college curriculums centered on both photojournalism and computer science. He has since travelled al over the world shooting, and has amassed a large body of creative and commercial work. This includes more than 20 feature length narrative films, and too-many-to-count commercials, music videos and short films. He has camera operated for Woody Allen’s DP Widego Von Schultzendorff, delivered compelling visual images as VFX Cinematographer on Frank Miller’s big budget film ‘The Spirt’. Paul’s work has played both theatrically and at festivals globally, including Sundance and Cannes, won awards, made profits for producers, sold products, informed people, and even set a world record for web viewership. 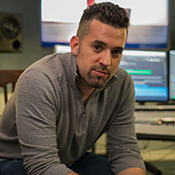 In 1998, he founded EMB Studios, a premiere boutique post production and music recording studio in Oakland, CA, which has become a nexus of creativity and quality for the San Francisco Bay Area’s independent film community. Robin has been working as a Film Editor for over twenty-five years. Most recently he edited The Valley, a family drama written and directed by Saila Kariat; and is currently editing ‘You can’t say no’, a romantic comedy written by Hus Miller. Other projects Robin has cut include ‘Love Interrupted’ – a documentary examining the phenomena of late-in-life rekindling of first loves that was made for the Canadian National Broadcast system; ‘The Prankster’ – a feature teem comedy screened on Showtime and the Starz Network; and ‘Haiku Tunnel’ – an “office comedy” feature film that was distributed by Sony Pictures. Other documentaries Robin has cut include ‘The practise of the wind’, a profile of poet Gary Snyder that was screened on KQED, after the San Francisco International Film Festival and around the world, and ‘I Ride’ and ‘Rice Field of Dreams’, directed by Daron Ker. While primarily a Picture Editor, Robin has experienced in many other areas of filmmaking: Writing, Directing (his film ‘Travel Song’ was broadcasted in Canada), and Music Editing. In this capacity he has worked on many Studio Pictures including Philip Kaufmann’s ‘Quills’ and ‘Twisted’, Michael Hoffman’s ‘The Emperor’s Club’, and Carol Ballard’s ‘Duma’. Jacob is currently the Resident Composer for American Studio Orchestra and recently worked on the trailer campaign for Star Wars: The Force Awakens. He was awarded a 2016 ASCAP Screen Music Award for his work on ‘Finding Carter’, a one-hour drama on MTV and his music has been used in the trailer campaigns for Disney’s ‘The Jungle Book’, ‘Kubo & the two strings’, ‘ The Hobbit: Desolation of Smaug’, ‘X-Men: Days of Future Pasts’ and ‘The Chronicles of Riddick’. Yoffee’s scores include Showtime’s award-winning ‘Time of Death’ series, the award-winning feature, ‘Into the mind’, ‘Pawn’ starring Forrest Whitaker & Ray Liotta, and the ‘WIGS’ series ‘Blue’, ‘Christina & Celia’, directed by Rodrigo Garcia and starring Julia Stiles, Dakota Fanning and America Ferrera. 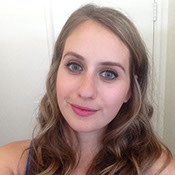 Victoria has been working in motion pictures for fifteen years as a production designer and set decorator. Though she has Hollywood credits on movies and TV series such as ‘Princess Diaries’ and ‘City Lights’, most of her work as been as a production designer for independent movies. Higher budgets projects include award-winning films such as ‘Nina takes a lover’, ‘Swing’ and ‘The Prankster’. Recent credits include ‘Raspberry Magic’, ‘Olive’ and ‘America still in place’. This year she is proud to have worked as a production designer on ‘The Valley’ with director Saila Kariat. The scenes and sets looked beautiful thanks to an excellent script, cast and crew. Victoria is also a filmmaker with broadcast credits on PBS and Cable TV. Her award-winning documentaries were financed through National Endowment for the Arts grants.